With decades of experience in the industry, Mailsafe Mailboxes is one of the few Quality Assured manufacturers of mailboxes and letterboxes in Australia. 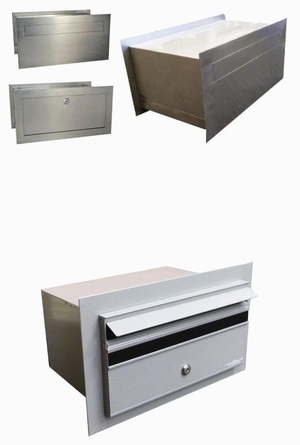 Mailsafe Mailboxes is a commercial division of Help Enterprises and has been producing a high quality range of aluminium and metal fabricated products since 1972. Specialising in fully extruded high quality aluminium modular mailbox units (banks) for townhouse and unit developments, retirement villages, shopping centres and commercial premises. One of the enhanced features of Mailsafe Mailboxes is the flat floor, which means mail cannot catch on internal protrusions as it is being delivered, eliminating the risk of mail sticking out from the aperture slot after delivery. 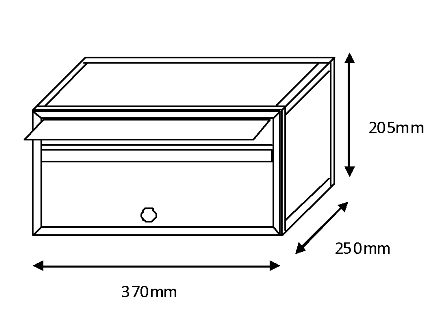 All of our mailboxes come with a straight 30mm Weatherhood. This offers a modern and stylish finish and doesn’t restrict the receipt of large quantities of mail as with mailboxes that have curved Weatherhoods. All of our mailboxes are available in your choice of either front or rear opening designs.With a focus on customer service, Garrison Solutions together with Mailsafe Mailboxes offers clients a total solution. When you are dealing with Garrison Solutions you are buying a quality Australian-made product and assisting us in supporting the independence of people with disabilities. Designed to reduce lead times and allow customers to have their mailbox on demand, the MSF range has revolutionised the mailbox industry. MSF2 and MSF3 mailboxes are capable of receiving large quantities of mail, including A4 envelopes and magazines without folding. The MSF3 is especially suited to situations where width restrictions apply, as the box is narrower across the front and deeper. Setting the MSF range apart from the competition is the special feature of a silicone sealant. This is added to all roof joints providing additional protection from the rain. An extra benefit is that all external rivets and screws are counter-sunk for a safer and neater look. The MSF range meets the design requirements of Australia Post. Available in either front or rear opening designs. 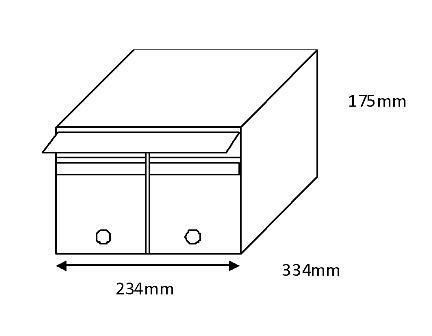 The APR2 and APR3 are Australia Post Recommended mailboxes. 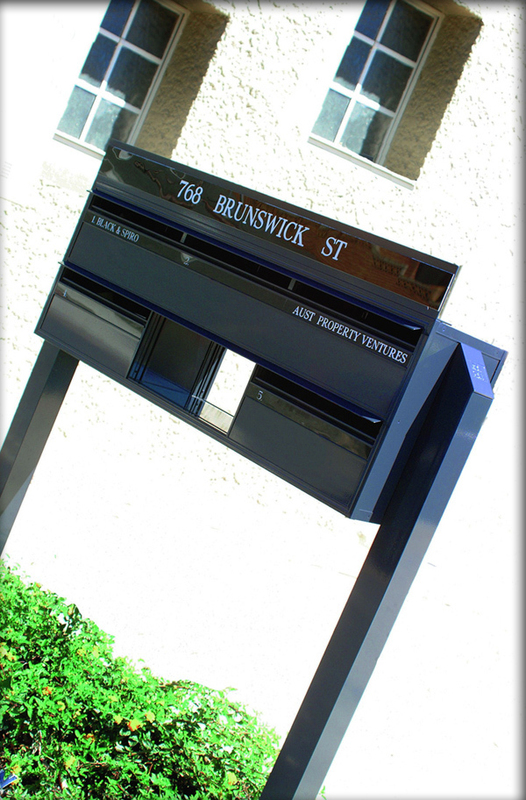 These mailboxes can be manufactured as a standard sized mailbox, or as a custom built mailbox to suit design or dimensional requirements. The flat-floored APR2 and APR3 are large enough to receive an A4 envelope or magazine without folding or accidental protrusion. The APR3 is especially suited to situations where width restrictions apply, as the box is narrower across the front and deeper. All features of the MSF range are incorporated in these mailboxes. However, APR mailboxes are slightly larger than the MSF mailboxes and feature sturdy individual framework around each bank or single mailbox. This provides even greater mail security. Suitable for Resort Complexes and Hotel Style Accommodation where mail is delivered and then internally sorted. This range can be manufactured for the use as pigeon holes which make sorting and retrieving mail neat and efficient. The MSF Compact mailboxes are approximately half the width of the standard MSF3 mailbox, they are most suitable where large quantities are needed with a small amount room available. The MSF4 mailboxes are part of our standard MSF range but with an individual Newspaper Shelf to each mailbox for bulky items. MSF4 mailboxes have been designed to hold more mail than the standard MSF2 and MSF3 mailboxes as each mailbox comes with its very own newspaper shelf. Using the width of an MSF2 Mailbox and the depth of an MSF3 mailbox, the box itself is still capable of holding an A4 envelope or magazine. The Series 7 and Series 7L mailboxes are designed to fit 200mm block work installations, but are also available as freestanding units. Series 7 mailboxes will adequately receive most residential mail but A4-sized envelopes will not fit without folding. 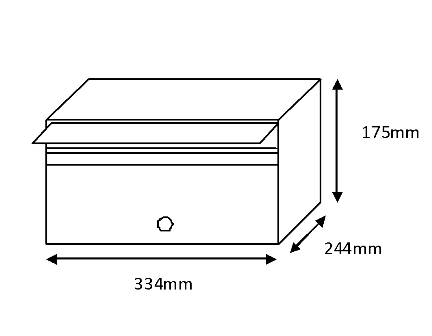 The Series 7L mailbox is marginally wider than the Series 7 allowing the A4 envelope to be inserted but it will not sit flat on the floor of the mailbox due to the restricted depth.